It’s the most wonderful (and critical) time of the year for all nonprofits. As many of you are well aware, these next few weeks account for 40% of fundraising efforts. While this may seem overwhelming, there is still plenty of time to make sure you’re all set up to make this year-end campaign a great success. 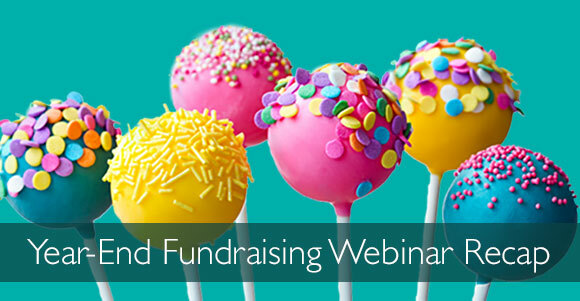 During our webinar with Heller Consulting and Classy.org, seasoned fundraisers, Jenn Smith and Mike Spear, went through a crash course on everything you and your organization can do to prepare and execute an effective strategies to meet your fundraising goals this holiday season. While there is no one solution that is proven to be successful, we’ve developed five key phrases that our experts have found very useful in past campaigns. These are outlined below. Putting in the time and effort to plan a strategy now will lead to a smoother campaign overall. The different steps of this phase include developing a strong theme, identifying target supporters early, set fundraising goals, create a calendar, stockpile incentives, create campaign collateral, and designing pages beforehand. It is never too early to begin fundraising! Start identifying your prospective donors immediately, and plan what you can do to move them through the engagement hourglass to allow for as much impact as possible. Finally, plot out the engagement emails you would like to send out over the next few months and automate if possible. While it is tempting to contact all of your donors at once, we recommend breaking it into two separate stages – soft launch and hard launch. The soft launch will focus on strong supporters that have given in the past and are likely to donate again while the hard launch will focus on everyone else you’re able to reach. The Kiva Study showed that donors are more likely to give for the last part of a fundraiser in order to be the most effective. By breaking down the launch into two phases, you will maximize your fundraising efforts from a broader group of supporters. You’ve created a strategy and gained supporters, now it is time to keep them engaged. Even if they are unlikely to donate more than once, it is important to make your donors feel like they’ve made an impact and are a part of something. Reward your power fundraisers that are sharing information via social media and give them special attention for spreading the word. Don’t forget to keep it fun and interesting! Allow your donors to make the brand their own. Another important part of this phase is to keep everybody up to date on your campaign. Create mission moments to help your donors visualize where their money is going. A crucial part of engagement is making sure that your fundraising page is extremely easy to use. Is your donation page mobile responsive? Is there too much content or distracting information on the page? These questions need to be answered early on and tested frequently throughout the process. This is it – the last push of your campaign. Keep your eyes on the price and your end goal. If you are on track to meeting your initial goal, don’t be afraid to extend that goal. Make sure to provide big incentives for donations and keep pushing until you are satisfied. Mind your manners! We know you’re tired, but it is important to follow up with all of your donors and thank them for supporting your year-end campaign. This thank you email can be created during your planning phase and automated to go out in early January. Show your donors what their contributions are allowing you to do in the New Year. Make sure to listen to the full webinar for additional information here.